It’s the Philippine National Trade Fair in a couple of weeks and it’s an opportunity for you to rekindle your creativity and entrepreneurial spirits. Slated on March 18 to 20, the Philippine National Trade Fair will be at the SMX Convention Center wherein a selling and exhibition area will be put up for both the public and trade buyers. A P50 entrance to the venue will be charged which is inclusive of one training or seminar. Being your partners in business, Entrepreneur Philippines will provide you with the relevant updates that will help you start your business or improve the one that you have started. In the next few pages are the list of trainings and seminars that you can attend during the event. As we have always said, there is no better time than now to start that business! Everyone wants to smell good, right? But not everyone can afford those pricey French perfumes. Just look at the success of Joel Cruz and his Aficionado brand or Zen Zest owner Michelle Asence. 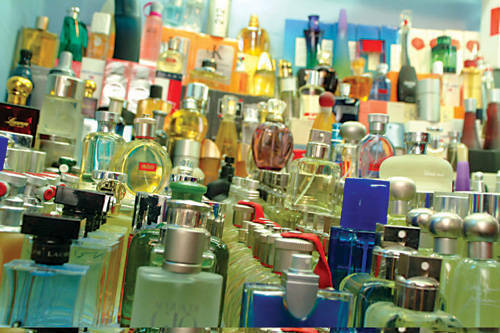 With the seminar, you can learn the basics on how to make perfume and earn money from it.